ICBC Turkey offers a multi-faceted financial service structure with a customer-focused approach with many ways of banking industry like, Operating in Corporate Banking, Commercial Banking, SME Banking and Retail Banking. ICBC Turkey’s activities are carried out by General Directorate in Istanbul with 44 branches, 49 ATMs, Internet Branches and Telephone Branches throughout the country with a continuous service understanding. The period we are in is defined as ‘’information age’’. In this age, digital technologies are rapidly transforming the banking industry. The world’s largest bank in terms of market value of Industrial & Commercial Bank of China (ICBC) has purchased Tekstilbank and stepped into Turkey. Digital formation of ICBC Turkey also took place in accordance with the banking structure in Turkey. 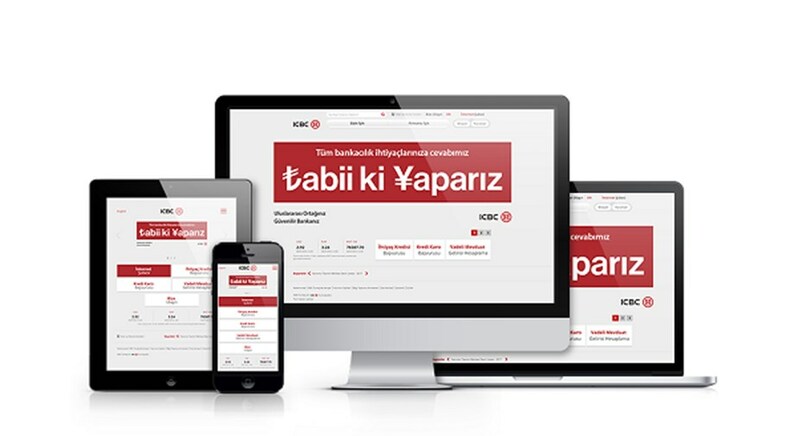 LuckyEye has developed ICBC Turkey’s digital experience for the 21st century banking concept. All solutions developed for ICBC Turkey’s digital channel management are structured to reflect the brand identity best with 360 degree service infrastructure. The custom system designed for user habits and Project requirements has been developed to offer a different digital channel experience. The banking concept presented in ICBC Turkey is maintained with the LuckyEye infrastructure and designed in the Turkish and English digital channels at www.icbc.com.tr. • Many advantages such as the ability to instantly discover the point of interest with the map application, which provides access to the location according to the branch units. • The development of individual and corporate banking systems in a user-friendly structure with customer journey experience.